Turkey is clearly the main focal point of everyone's Thanksgiving Day table and sure, maybe it should be but the real start of the dessert buffet has to be this amazing Cranberry Pie. Sprinkled with blue and raspberries alike, this pie is a show stopper not just in looks, but it total flavor. You might want to bring a couple recipe cards over or save this link, your friends will be asking how you did it. 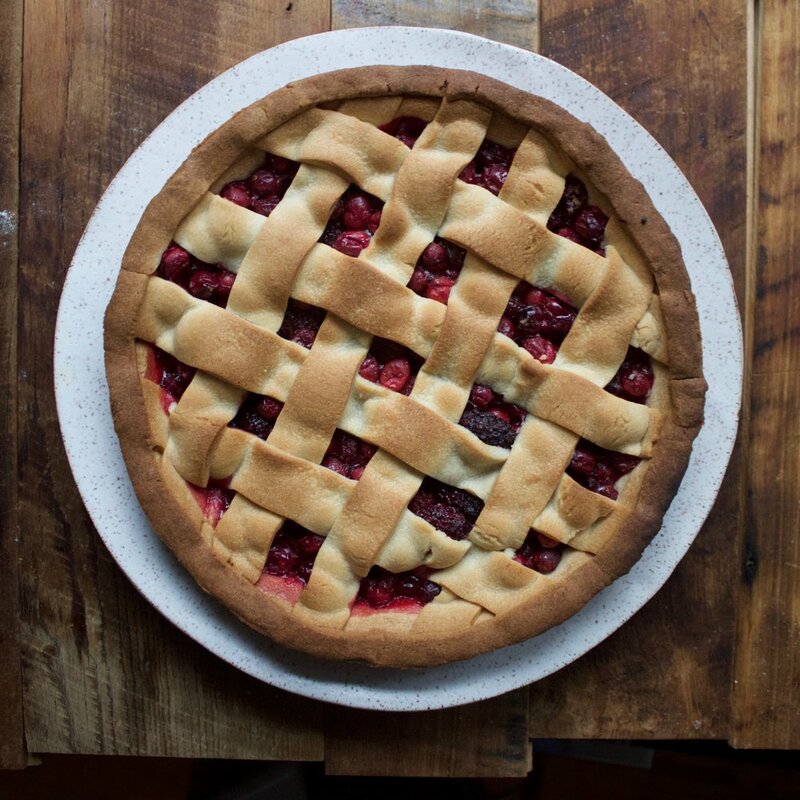 Pro-tip: Place your pie plate directly on top of your Baking Steel. The heat from the Steel will blast into the pie plate resulting in an legendary bottom pie crust. Make pie crust ahead of time and remove from fridge or freezer. Divide into two pieces and roll them both out into rounds. Line pie tin or baking dish with one large round piece of dough. Toss all of the fruit with the sugar and lemon juice and dump into pie dish. Take remaining pie crust and cut into strips to make a criss-cross style pie topping. Bake on top of a preheated Baking Steel at 350 degrees for 25-30 minutes until all of the fruit has burst and is bubbling and the crust is golden brown. Serve warm if you know what you’re doing.